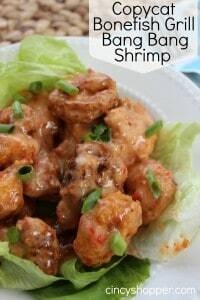 I am not much of a seafood fan but this CopyCat Bonefish Grill Bang Bang Shrimp is a MUST try recipe. A couple months back the hubby took me out to Bonefish Grill for dinner and insisted that I give the Bang Bang Shrimp appetizer a try. With not being much of a seafood person, I was a bit hesitant. After ordering an order of this yummy slightly spicy shrimp, I will never say that I do not care for shrimp again, ha ha!All the flavors just flow together so well. 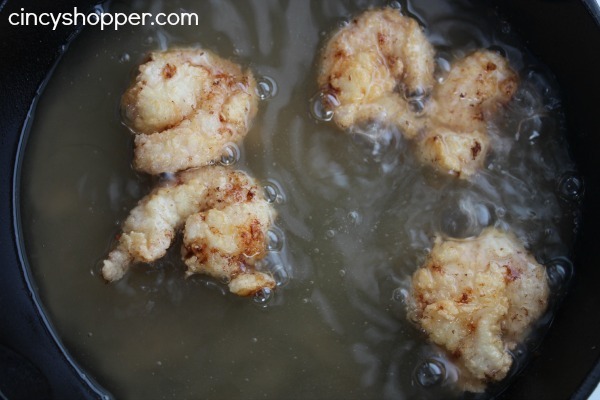 Fried shrimp has always been my favorite when eating shrimp so these were perfect. 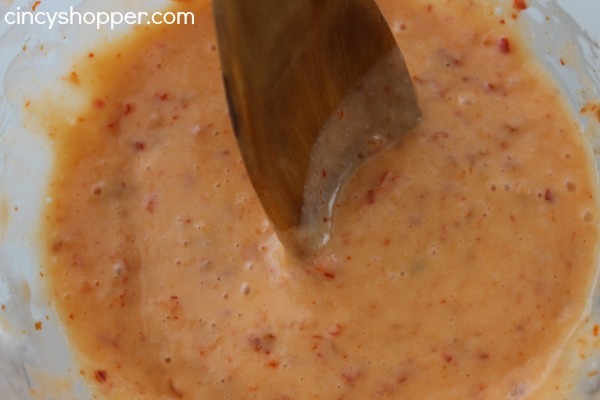 Fried shrimp with a kicking sauce….yum! Heading to Bonefish for a meal is not light on the budget so I insisted that the hubby find a way to replicate the Bonefish Bang Bang Shrimp recipe so we could enjoy it a bit more frequently. I think he did an AWESOME job at getting the recipe just right. 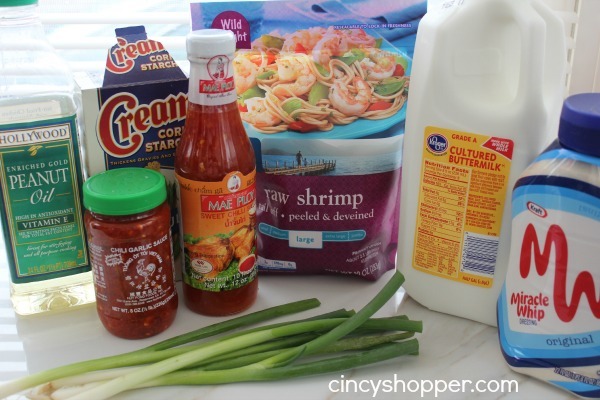 He found everything needed to make the shrimp right at Kroger. Preheat skillet filled with 1/2-1″ peanut oil to 350. 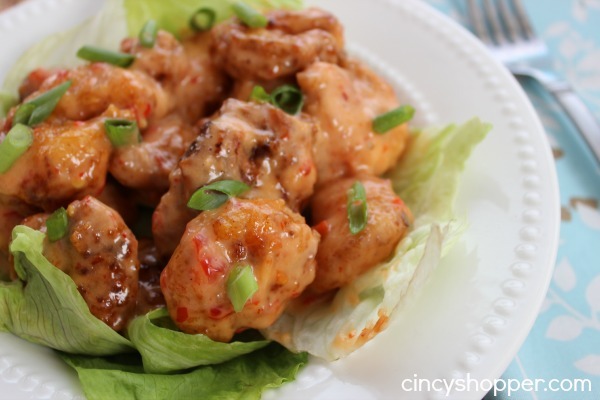 We had these Bang Bang Shrimp for a meal as they are tasty and filling enough to be one. Having CopyCat Bonefish Grill Bang Bang Shrimp at home really helped the budget last week. Are you looking for other CopyCat Recipes? If so be sure to check out my CopyCat Chick-fil-A, CopyCat Wendy’s Chili and CopyCat Red Lobster Cheddar Bay Biscuits Recipes. Preheat skillet filled with 1/2-1" paeanut oil to 350.